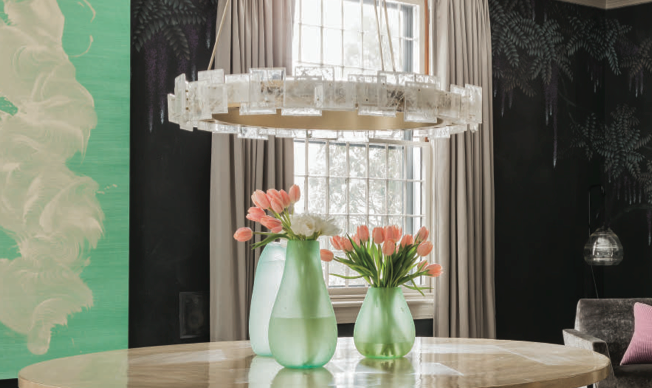 Elms Interior Design is proud to be included in Boston Magazine’s Best of Boston Home 2015. 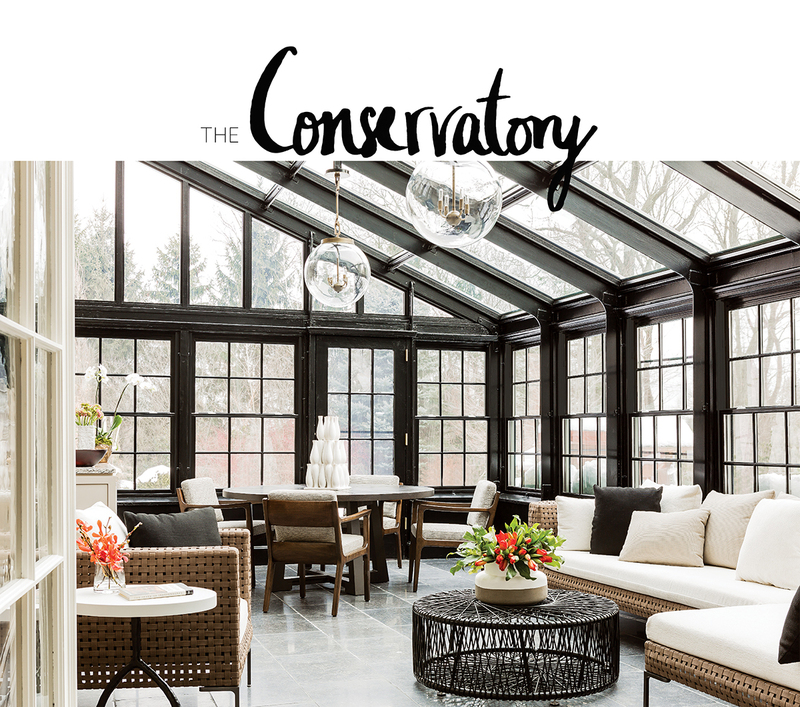 The design firm Elms Interior Design wowed us with this chic Brookline conservatory, just as ideal for a post-swim summer lunch as for reading on a snowy day. Elms Interior Design is pleased to be featured on the cover of Interiors Magazine for their redesign of a spacious home in Brookline, MA. The contemporary design style juxtaposes the traditional skeleton of the home bringing luxury, comfort and new life to each space. A three bedroom apartment at The Clarendon in Boston’s Back Bay becomes a warm, family home with the help of Elms Interior Design. Dee and Andrew discuss the art and science of a perfect powder room. Elms Interior Design is pleased to have their redesign of an urban condominium in Boston’s Back Bay featured in New England Home. The design flaunts its spectacular Boston view and features a floor-to-ceiling hearth and some beautiful original art. The design duo’s challenge was to wake the place out of its slumber. The owners had left behind a handsome traditional home and, although they didn’t want a repeat of the same, they envisioned a residence that reflected their good taste—something a dash more contemporary, for sure, but brimming with character nevertheless. So Elms did what the best designers do: they listened carefully and then they sprang into action, shaking up the rectangular two-bedroom condominium from end to end. The heart of the home—the open-plan kitchen/dining/ living area—rocketed from quiet to stunning with the addition of a classic coffered ceiling meticulously crafted by Herrick & White Architectural Woodworkers from Cumberland, Rhode Island. And where a ho-hum wall had formerly stood its ground, the designers introduced a grand focal point: a floor-to-ceiling hearth clad in dreamy Athens Silver Cream travertine from Ann Sacks. They thoughtfully elevated the level of the firebox to ensure the heart-warming flames remain visible above the cocktail table, even when the owners sink into their John Mark sofa at the end of the day. This Old House wraps up its Scandinavian redesign of a New England Queen Anne. Norm arrives to a rainy morning in Cambridge. The weather, however, isn’t stopping Roger, who is putting in the last of four granite posts. Inside, Norm finds Tom reinstalling a little piece of nostalgia from the old house: an old-school doorbell that the homeowners wanted to keep. Next, Kevin finds Sally and kitchen designer Kathy Marshall settling Sally’s stuff into her new kitchen and showing off its functional features: appliances, storage, sink, faucet, chopping block drawer, and even a hideaway step stool. Downstairs, Kevin finds John with no man cave, but rather great space for the kids, a workshop of his own, and Richard, who’s given him high efficiency mechanicals. Richard welcomes back energy auditor Jimmy Seaborg to see how we did on tightening up the building. Back outside, Kevin meets landscape architect Greg Lombardi to see his plan realized. There were some adjustments because of budget, but the design intent is still intact: hardscape and plant material work together to create separate areas of use and function. The other great outdoor space is the roof deck; Norm recaps the work out there and then meets interior designer Andrew Terrat for a tour of the master suite. The second floor is all about the kids so Sally shows Kevin the highly functional laundry, and how the girls each had a say in the colors and details of their own rooms. The heart of the project is really the first floor. Designer Dee Elms walks Kevin through the entry foyer, hallway/mudroom, powder room, built-in hutch, living room, and dining room. As Andrew shows Kevin the highlights of the kitchen, the crew and homeowners gather for one last hurrah…until the newly installed doorbell rings! Everyone flows out onto the front porch for a last look at the exterior and a farewell cheer with the neighbors. This Old House injects some Scandivanian style into an old Queen Anne located in Cambridge, Mass. Kevin and Richard get a taste of culturally diverse Cambridge by visiting what’s known locally as Japan Town. Back at the project, it’s all about Italy today, as our plaster Bob Bucco is hard at work. Bob introduces Kevin to his father, Vito Bucco, who started in the trade 60 years ago. Norm shows how Tom has matched the exterior trim details and how the clapboards are going on over an underlayment that will let them dry out. Then, up on the roof deck, he lends a hand as Tom creates a staggered shingle pattern on the half walls to match what is on the existing house. Kevin heads to Boston’s South End to visit interior designers Andrew Terrat and Dee Elms to see how they are planning to execute the homeowners’ vision of “Scandinavian Modern.” Back at the house, Richard and project plumber Abe Bilo add floor warming radiant heat to the first floor from below, and a state of the art condensing boiler to fuel both the radiant and the hydro air systems. This Old House remodels a 1720 Georgian home in Bedford, Mass. With the help of Elms Interior Design, the Bedford house was transformed into a Revolutionary War-era relic into a 21st century homestead. The final reveal of the nearly 300 year-old Bedford House. Roger Cook and Jenn Nawada install plant material. Mark Ferrante installs backsplash tile. Mike Bradshaw installs wallpaper. Roger and Tom install reproduction metalwork. Kathy Marshall and Becky Titlow see the finished kitchen. Joe Titlow shows Norm his garage workshop. Dee reveals the design choices they’ve made in oldest part of the house – brightening up the parlor and transforming the dining room with color and texture. In the new addition, Dee’s design partner, Andrew Terrat, gives Kevin a grand tour of the new spaces including the new entry, mudroom, powder room, kitchen, and dramatic new family room. The entire crew of This Old House joins for a party to wish the Titlows well in their “new” old house. Elms redesigns the room with feminine colors, an airy iron canopy and yards of draped fabric.